Breeding season is risky. 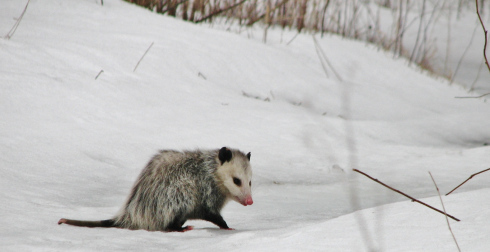 To find a mate Didelphis virginiana must scurry across open fields, cross busy highways and negotiate tortuous creek banks flanked with slippery ice in a world full of predators. Cars, owls, hawks, raccoons, coyotes, fox and domestic dogs all take their toll. And then, just 12 days after a hastily arranged honeymoon 12 – 20 helpless babies no bigger than honey bees must attempt a difficult fur-clinging climb from the birth canal to the pouch and struggle for the 13 teats as mom waddles about in her solitary ways. 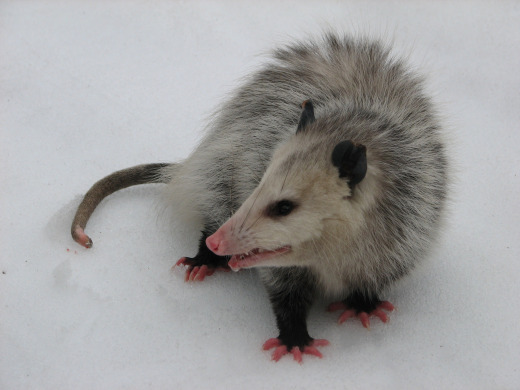 If more than 13 are born to this amazing creature with 50 teeth and a prehensile tail they will not survive. 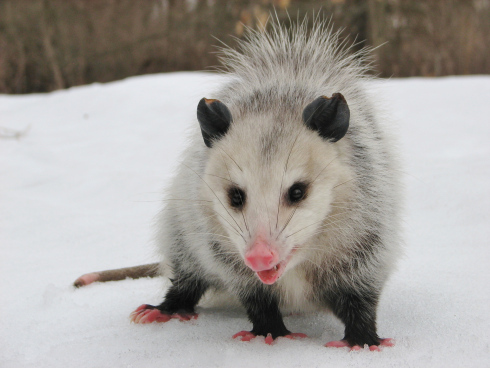 This is not a creature of myth. 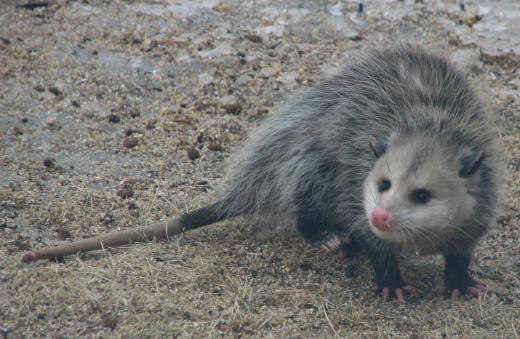 This is the Virginia opossum, a species that thrives close to homes in Oakland County and is found in every Oakland County Park. ← Skunk Cabbage – Snow Melting Wizard of the Woods!